Hayden Jewelers has always been committed to offering quality diamonds and fine jewelry at very reasonable prices. For over 2 decades, Hayden Jewelers has been providing Central New York with beautiful jewelry at beautiful prices. 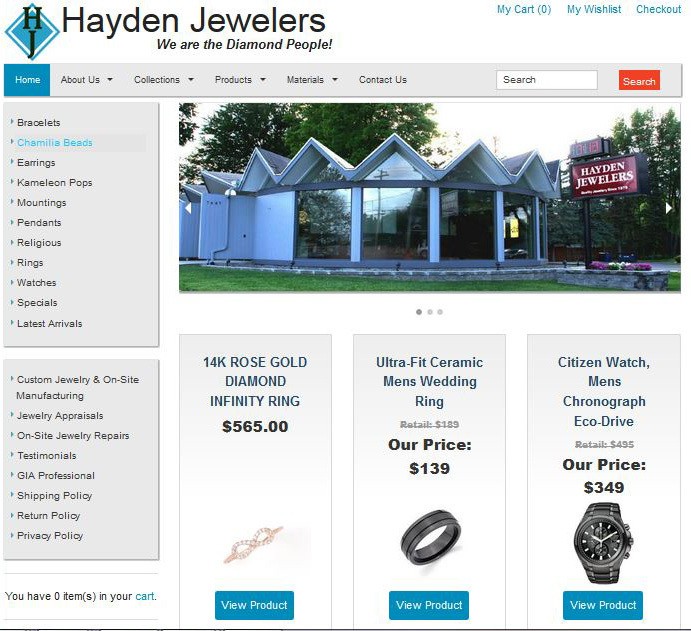 Now, 32 years later, Hayden Jewelers opens its doors to the world with the inception of HaydenJewelers.com.